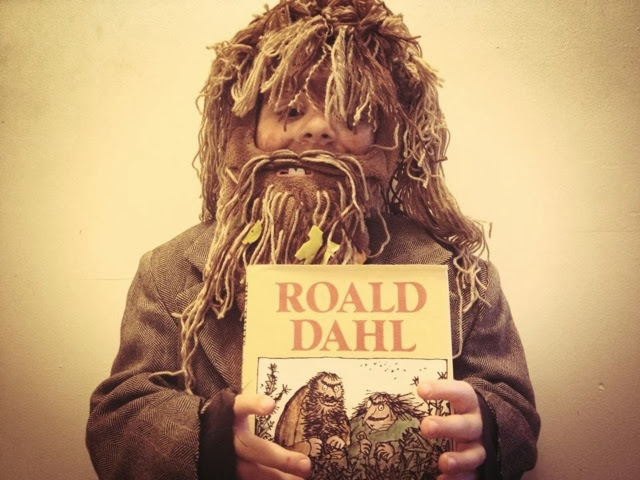 It's that time of year again, the excitement of 'world book day' has been filling our house. Every year Seth comes up with a long list of possible costume ideas but this year there was just one, he knew exactly who he wanted to be. In the two previous school years he had been 'The cat in the hat' (obviously) and last year if you remember the post he was 'The hungry Caterpillar'. When it's time to create a costume me and Mrs M are a great team. Yesterday I popped out hunting for haberdashery supplies and a tweed looking jacket (which shockingly I found). Once Seth's measurements had been taken and the boys were in bed we got to work. Mrs M tackled the wig and I worked on the beard, we even managed to entertain our friend Chris too while working, we're a parenting super team! 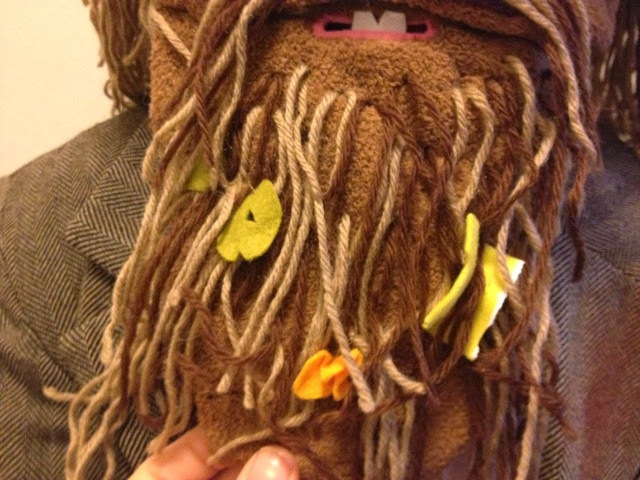 After the beard and hair was finished we cut out a sardine, cheese and cornflakes from felt and stitched them in to his beard (I'm quite sure you've guessed who it is by now, the title was a bit of a give away haha). Seth graced the school playground this morning looking like a vagabond and proud of it. I loved seeing his excited little face as his friends looked at him very confused. Seth's head teacher came over and was very impressed and I'm sure that when his friends saw his box of worm spaghetti to eat later in the day they all had smiles on their faces too. Do you think my friends will laugh at me if i came in dressed as a girl? Stay tuned to see how that question unfolds!